EXETER boys and girls are being invited to get muddy for a good cause - at a brand new event from Cancer Research UK’s Race for Life. The city has been chosen to host Race for Life Pretty Muddy Kids for the first time at Westpoint Arena, Exeter on Saturday 21 July. 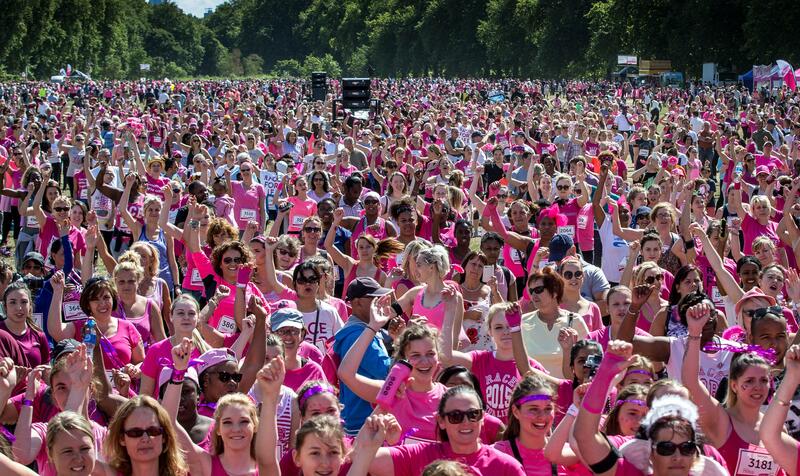 The Race for Life family of events also includes the traditional 5k, 10k and Pretty Muddy courses, which thousands of women will take part in at the same venue on Saturday 21 and Sunday 22 July. This January (1-31 January), Exeter women are being offered 30% off entry fees for Race for Life 5k, 10k, Pretty Muddy, Pretty Muddy Kids, Half Marathon and Hike events. By taking part in Pretty Muddy Kids, children in Exeter can have fun with friends and help raise valuable funds to beat cancer sooner at the same time. Money raised will help Cancer Research UK scientists find new ways to prevent, diagnose and treat the disease, helping save more lives. To enter Race for Life Pretty Muddy Kids today go to raceforlife.org or call 0300 123 0770.